Describe Anna and Orion Oh and their relationship. What factors drew them together and what drove them apart? What were your first impressions of each character? Did you see the characters in the same light by the novel's end? Think about their names. Are they fitting for these characters? What other elements like this did you notice throughout the novel? Talk about the Oh children. How do each of them relate to their parents? Were Anna and Orion good parents? What makes a good parent? Are they equally culpable for their impact on their children? How much of our lives are shaped by our families, and how much by our own choices? Choose a character or two from the Oh family and use examples from the book to support your thoughts. The story begins by talking about the artist Josephus Jones. What role does he play in the story and the Ohs' lives? He is called a narrative painter in the story. Explain that term, what it signifies for you. Family, tragedy, art, violence, secrets, love, and transformation are the themes at the heart of We Are Water. By keeping things to ourselves and by sharing them inappropriately, are we doomed to keep repeating the mistakes of the past? How are Anna's secrets both destructive and productive? What about the secrets the rest of the family keeps? What is the attraction between Anna and Viveca? What does Viveca offer Anna that Orion cannot? What are your impressions of Viveca? As the story unfolds we learn about Anna as a mother and her relationship with Andrew, her only son. Why does she treat him the way that she does? Is she truly aware of her behavior? Why don't the children tell their father the truth about their mother? Were they protecting her? Another supporting yet very important character in the novel is Kent. Share your thoughts about him. Does knowing his backstory affect your view? Do we in our hypercritical society lose sight of the fact that perpetrators are often victims themselves? What was Kent hoping for when he went to visit Anna on her wedding day? Think about Orion. His profession is helping people, watching for signs, recognizing pain and rescuing his patients. How could he so spectacularly miss Anna's suppressed emotions and those of his children? Was he too busy tending to others to notice his own family's dysfunction? Could he have truly seen it or by being a part of this family was he too close? Discuss Anna's art. Does it sound appealing to you? Would she have her art without her pain? How is she like Josephus Jones—what connects them? After Anna shares her terrible secret with Andrew, he makes a crucial choice. What do you think of his actions? Was he morally justified? Is it good that he told his father about what happened? Would he feel better or worse if he confessed? Discuss the significance of the title, We Are Water. How many meanings does it have? How does it connect to the final scene in the book? How do each of the Ohs come to terms with who they are? Would you say that they—and the novel itself—have a happy ending? Late in the novel, Orion mentions reading an article in the New York Times about scientists who studied the effects of reading fiction on the human brain. They found that reading fiction stimulates the brain in the same way that experiences in real life do. Why do you read fiction? Are novels and stories important, and if so, why? Does this experience match your own? What did you take away from reading We Are Water? 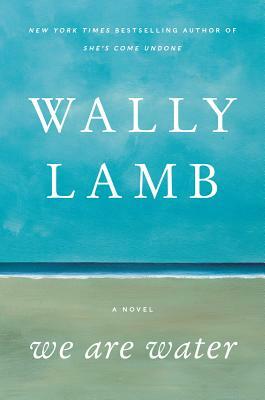 If you've read Wally Lamb's other books, how does its compare thematically?